Yes, sweet are delicious and tempting, but will get you into pants that are another size larger. And into your doctor’s office for another lecture. And into a body that you are not happy with. Do This: Mix unsweetened, nonfat Greek yogurt with a scoop of vanilla protein powder and mix in some chopped, fresh fruit. This creamy delight is much lower in sugar than ice cream and tastes amazing! But, listen, if you want Ice Cream, have a serving and make sure you have the REAL DEAL. A regular can of soda contains the equivalent of 10 packets of sugar. That’s more sugar than you should consume in a full week! Do This: Take soda out of your diet. Period. There are plenty of other, healthier, beverages available to you. Try the recipes for Spa Water below. It’s my goal to get you into the best shape of your life. Join us in the next Boot Camp session starting May 20th!! If you need help in this area of developing a positive mindset, plug yourself into our 21 day detox program. You won't be disappointed!! You are crazy not to experience BootCamp! As a fitness drop-out I was facing my '60's looking like the typical out of shape American. What to do to jump start my way back to being healthy? Bootcamp with Laura! 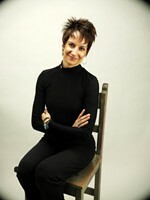 The classes are personalized, you never feel abandoned, and all levels are carefully watched by Laura ALL THE TIME. She knows what everyone is doing, pays attention to everyone's little bumps in the road and expertly increases the level of training with every session. I 100% recommend training with Laura. She lives what she believes. I began working out with Laura's bootcamp in October 2010. Over a year later, I can't believe how far i have come and can't imagine quitting. I've never been very athletic, and it is a stunning experience to discover my "inner athlete" in my mid-40s! Despite problems with my knees and occasional shoulder issues, Laura never fails to adapt the day's workout to accommodate my problems and give me a great workout. Not once have i left a workout feeling demoralized or thinking, "I'll never do that again." The other campers are non-judgemental and always encouraging. Beyond the incredible changes I've seen in my body, are the changes I've experienced in my mind - I am more confident, happier, calmer, and sleep better, too. Thank You Laura! I have been going to the 5:30 Monday/Wednesday/Friday Bootcamp for over two years. Bootcamp has given me a confidence that I never had before. While I have always loved working out, I have found a love for doing so outdoors. I love the challenges that Laura gives me each time. She is so encouraging and motivating. Whatever the weather it is so worth it. There is such a feeling of accomplishment to finish a Bootcamp session in the rain, cold, and sometimes even snow! I believe because of bootcamp I was able to become a fit strong athlete that has run in 2 half marathons and even the New York Marathon last November. I can't say enough good things about Bootcamp and Laura. I started bootcamp about two years ago. I have tried gyms, walking and exercise classes and would go a few times and then stop. That was not the case with bootcamp. It is always different and nothing compares to working out outside. I am not a morning person but have no problem getting up at 5 am three days per week. I feel more energetic on bootcamp days. Laura is a fantastic trainer. No matter what level you are, she adapts the program to fit your needs. Here is the best thing about Boot Camp with Laura...she really cares about you as an individual. She is able to seamlessly tailor an individual's work out based on ability level and physical condition/situation. She pushes all of us as hard as we can ("kicks our butts!") without allowing any of us to overdo it. For those women who have been doing the camp for awhile and are very fit she sees to it that they are "burning." However, when a member is nursing an injury in a particular area she finds other approaches to give them a good workout without endangering their health. When a new member joins us she is careful to see that they are challenged without being overwhelmed. No one is ever made to feel that they are "not up to par" - either by Laura or the other ladies in the group. Individual progress is noted and applauded. I am new to the group and so not at the level of many of the others. But I feel welcome and comfortable and encouraged by seeing other camp members who started where I did and are now fit and strong. I hope to be able to be there one day myself. Ready to live a life of wellness? Click here to empower yourself! What readers are saying about my book "Choose Well To Live Well!" 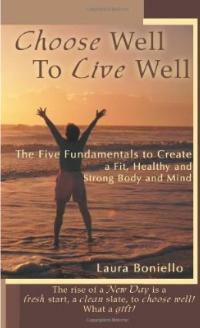 Buy Choose Well to Live Well and allow it to help you live a fit, happy and healthy life!! 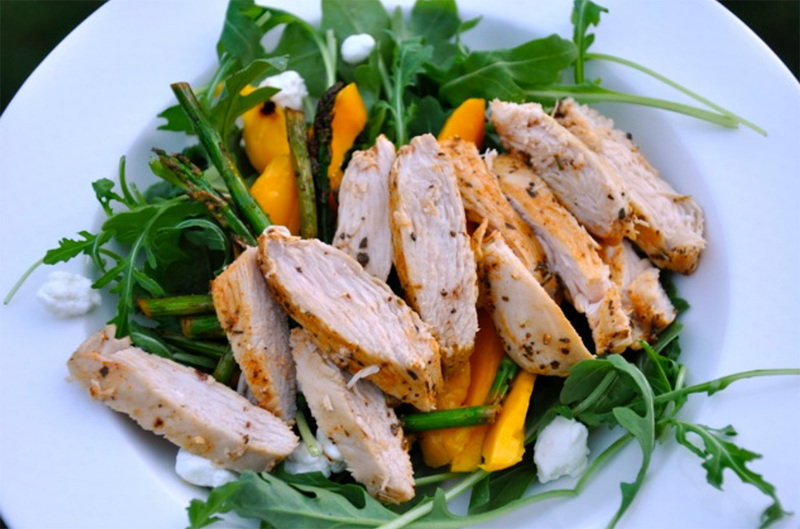 Are you ready right now to make some real healthy positive changes in your life? This workshop will teach you how to practice, implement and live the 5 Fundamental Wellness pracitces that will help you create a FIT, HEALTHY, STRONG body and state of mind. You will not only start experiencing life through a healthier and fit body and state of mind, but you will also learn to cultivate a SENSE OF INNER PEACE, CALMNESS AND AT EASE STATE OF BEING that will improve all aspects of your life! "Empower Yourself" workshop will be available as an online course! coming soon!! !